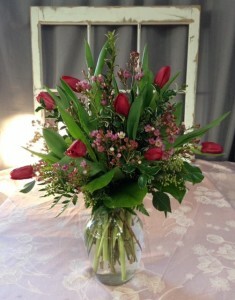 Vase Arrangement with Tulips and a Filler Flower. 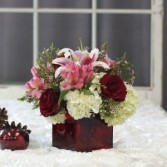 Many Colors are available and we can not guarantee Red. 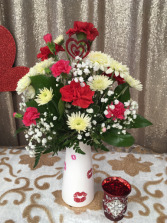 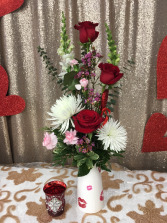 Hugs and Kisses includes Carnations, Mums (or Daisies) and Babies Breath (or other filler).